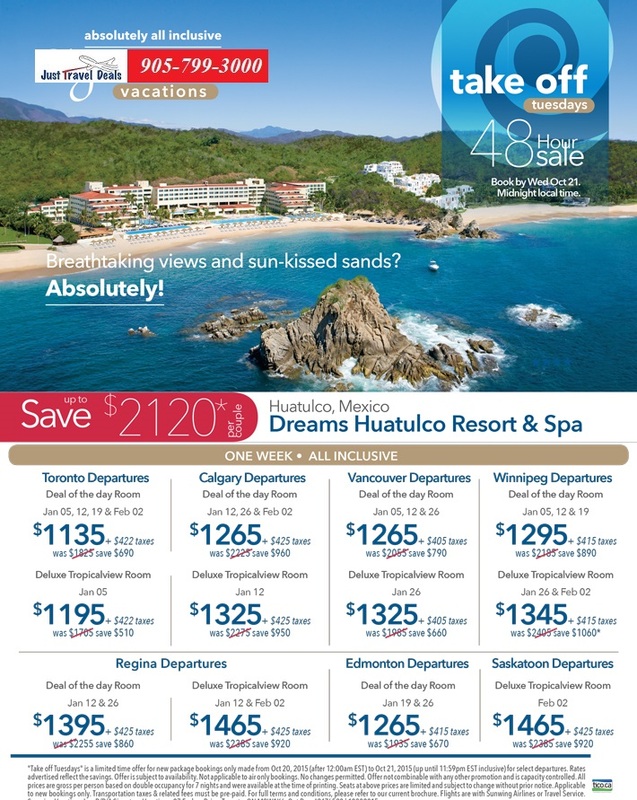 ​Surround yourself with Unlimited-Luxury® and remarkable natural beauty at the Dreams Huatulco Resort & Spa. Surround yourself with Unlimited-Luxury® and remarkable natural beauty at the Dreams Huatulco Resort & Spa. Begin your mornings with breathtaking views of flourishing gardens, lush mountains or sapphire blue waters from the comfort of your elegant guest room, complete with 24-hour room service and a fully stocked mini-bar. Fill your days with endless activities such as kayaking, yoga, dance lessons, Euro-bungee, windsurfing, archery and more, or simply lounge on the resort's private stretch of beach or by the oceanfront pool. Complete each day with a meal fit for royalty at any one of the five gourmet à la carte restaurants or at the international buffet. Make sure to take advantage of the resort's close proximity to exhilarating excursions such as deep-sea fishing and whale watching.